The volunteers were kept busy on Wednesday by responding to two fire calls. The first call came in at 3:35pm. 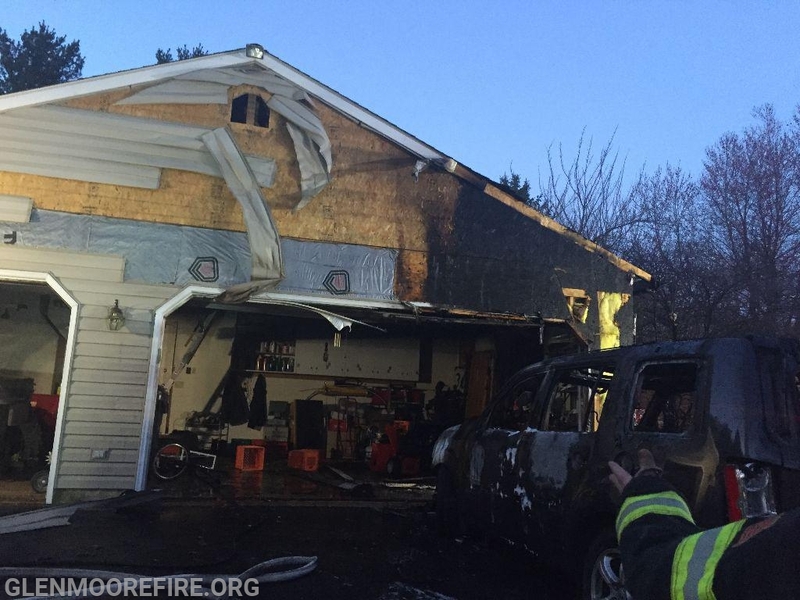 The Glen Moore Fire Company was dispatched to assist the Easy Brandywine Fire Company (Station 49) on a two-alarm working house fire in Easy Brandywine Township. Engines 48-1 and 48-5 and Squad 48 made the response and provided manpower. The second call came in at 7:12pm. As the volunteers were gathering for their weekly training, the company was dispatched to assist the Honey Brook Fire Company (Station 33). The call came in for a vehicle fire with exposure to the house. Engine 48-1, Engine 48-5, Rescue 48, and Squad 48 made the response. Engine 48-1 was first on scene. Crews stretched two 1 3/4 inch hose lines and were able to extinguish the fire before it spread to the house. Crews from the Honey Brook Fire Company and the East Brandywine Fire Company (Station 49) then checked for extension. Fortunately, no additional fire was found.